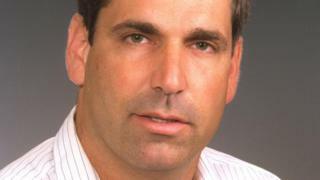 Israel has charged a former cabinet minister with spying for Iran, the Shin Bet internal security service says. Gonen Segev, a medical doctor who served as energy minister in the 1990s, was allegedly recruited by Iranian intelligence while living in Nigeria. He was detained during a visit to Equatorial Guinea in May and extradited following a request by Israeli police. The 62-year-old was jailed for five years in 2005 for smuggling drugs and forging a diplomatic passport. He also had his medical licence revoked, but he was allowed to work as a physician in Nigeria when he moved there after his release from prison in 2007. A statement issued by Shin Bet on Monday said Segev was detained immediately upon his arrival in Israel last month. He was questioned about information which indicated he might have been in contact with Iranian intelligence agents and assisting their activities against Israel. Investigators discovered during the interrogation that Segev had made contact with officials in the Iranian embassy in Nigeria in 2012 and that he visited Iran twice to meet his handlers, Shin Bet said. Segev, it added, had also met his handlers in other countries and was given a classified communications system to send them coded messages. Shin Bet alleged that he had given the handlers information relating to Israel's energy sector, security sites in Israel, and officials in political and security institutions, and also put the handlers in contact with some Israelis involved in the security sector by introducing them as businessmen. On Friday, Segev was indicted in a Jerusalem court on charges of "assisting an enemy during a time of war and espionage against the State of Israel", as well as multiple offences of "handing over information to the enemy". A gag order on the case was lifted on Monday, but some details remain sealed. Segev's lawyers stressed that the full indictment painted a "different picture than the Shin Bet statement", Israeli media reported. Ever since the Islamic Revolution in 1979, when religious hardliners came to power, Iran's leaders have called for Israel's elimination. Iran rejects Israel's right to exist, considering it an illegitimate occupier of Muslim land. Israel sees Iran as a threat to its existence and has always said Iran must not get a nuclear weapon. Its leaders are worried by Iran's expansion in the Middle East.